This is to inform all the students offered provisional admission into the Federal Polytechnic Nekede (NEKEDEPOLY) National Diploma (ND) morning (regular), evening and weekend programmes, that the management has released the procedure to complete the payment for the 2018/2019 acceptance fee. Read Also:Federal Poly Nekede ND Evening / Weekend Admission List – 2018/19. Federal Poly Nekede Acceptance Fee & Payment Procedure. 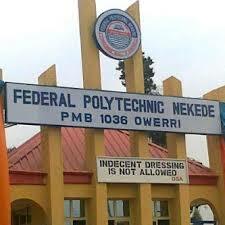 Welcome to Federal Polytechnic Nekede, Owerri and say No to cultism.